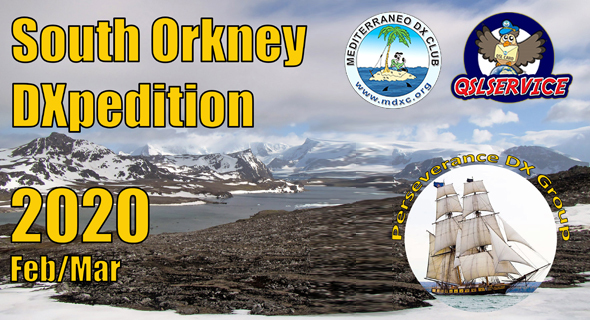 After their successful VP6D Ducie Island 2018 DXpedition, the Perseverance DX Group is pleased to announce their intention to activate South Orkney Islands, currently Club Log #16 most wanted. Planning has begun for an expedition in February/March 2020. A team of experienced DX and Contest operators will operate from Signy Island for up to 15 days. The process of obtaining landing permission is underway. The call sign will be announced at a later date. The team will sail from Punta Arenas, Chile aboard RV Braveheart. Seven operating positions are planned for 160-10 meters, SSB/CW/Digital.